The House passed House Bill 90 on Tuesday, Feb. 13, commandeering a controversial $58 million discretionary fund Gov. Roy Cooper created with developers of the Atlantic Coast Pipeline and redirecting the money to education. Republicans praised the legislation because it incorporates several key education provisions the House has backed with strong bipartisan support. Democrats complained Republicans injected a poison pill into the conference report that revives a bipartisan board of elections the state Supreme Court has ruled against. That neutralized the good education elements, they said. Despite vigorous opposition from Democrats during the 90-minute debate, the House passed the conference report on a bipartisan 104-12 vote. Rep. Hugh Blackwell, R-Burke, joined 11 Democrats voting against the measure. The House action follows Senate passage Friday of the conference report. It now goes to Cooper for his signature. The General Assembly adjourned shortly after the vote, to reconvene in short session May 16. Because the legislature isn’t in session, Cooper has 30 days instead of the usual 10 to sign the bill, veto it, or let it become law without his signature. In an email, Cooper spokesman Jamal Little said the governor was reviewing the bill. Spokeswoman Noelle Talley issued a statement about the special session ending, but avoided any mention of H.B. 90. “It’s disgraceful that after months of stalling, Republican legislators have gone home without doing anything to protect clean drinking water for North Carolina families,” Talley said in a press release. “People in the Cape Fear region have a right to be angry that legislative leaders have failed to do their duty and give state scientists the tools they need to deal with GenX and other emerging contaminants,” Talley said. Just minutes before the House took up H.B. 90, the state Department of Environmental Quality announced it issued a notice of violation to Chemours Fayetteville Works on Monday. The agency ordered the company to immediately take new measures to control additional sources of GenX and other compounds from site contamination and air emissions. A DEQ news release said it issued a letter directing the company to begin a trial of new technology to curb emissions from the facility’s smokestacks, and granted limited approval for Chemours to test carbon filtration systems on residential drinking water wells. The rapid-turnaround of H.B. 90 sprung from lawmakers’ objections to Cooper setting up a $57.8 million escrow account arranged through a Mitigation Memorandum of Understanding that established a board to distribute the money, which would have been under the governor’s control. The governor says the money is a voluntary contribution from the utility coalition building the pipeline from West Virginia through Virginia and eight North Carolina counties. Skeptics have labeled it a slush fund and an improper exaction forcing the developers to pay for an environmental permit they already were entitled to receive. While Republicans and school officials across the state have supported the legislation to divert Cooper’s secretly negotiated fund to precise educational uses instead of allowing the governor to channel it to mitigation work, and unspecified renewable energy and economic development projects, former Gov. Pat McCrory opposed the move. 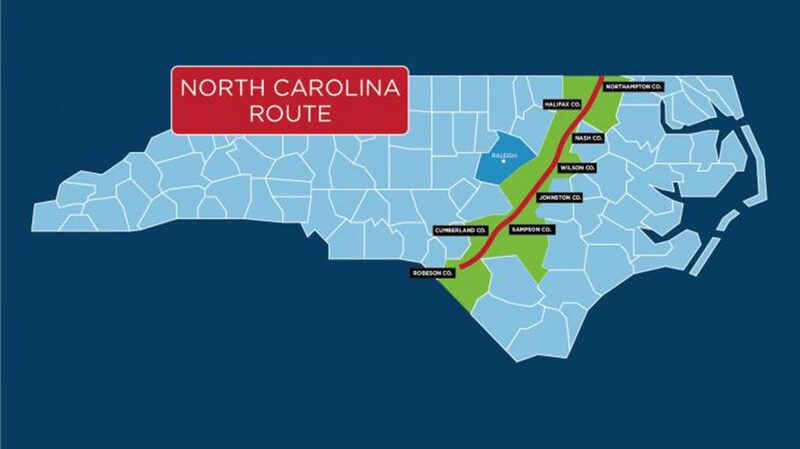 Speaking Tuesday morning on WPTF-AM 680, McCrory said Cooper’s pipeline deal should raise intense questions, at a minimum, and civil and criminal investigations at worst. “I care about clean government,” McCrory said, and does not want to see corrupt slush funds of the past return to Raleigh. If the money was acquired improperly, the General Assembly is no better than Cooper if it spends it, McCrory said. That sets a bad precedent of forcing developers to pay to play. In addition to allocating the funds to schools in the counties where the pipeline passes, H.B. 90 phases in a requirement to reduce class sizes over four years, and creates a recurring $61.3 million allotment for “enhancement teachers” in art, music, physical education and other areas. It tightens language for personal education savings accounts for disabled children. It provides $82 million in 2019-20 for additional pre-kindergarten education slots, and $91.3 million each year thereafter. But it was repackaging the Bipartisan State Board of Elections and Ethics Enforcement that drew heat from Democrats. The bill would set up a nine-member board, with the governor appointing four Republicans, four Democrats, and one unaffiliated member. Previously the governor appointed five members, three of which represented his party. “These changes are clearly unconstitutional,” said House Minority Leader Darren Jackson, D-Wake. “It’s clear that the governor has to be able to appoint a majority of members” based on the 4-3 state Supreme Court ruling that struck down the Republicans’ reconfigured election board comprising four Republicans and four Democrats. Democrats said H.B. 90 has no severability, so if one provision fails to meet court muster, none of the provisions would be allowed to take place. “These are three separate bills. We should be debating them, and voting on them separately,” said Rep. Marcia Morey, D-Durham. He said he believes H.B. 90 addresses the concern the Supreme Court raised about the likelihood of gridlock with a 4-4 election board makeup. He dismissed complaints about putting disparate issues into an omnibus bill. “All of these issues are timely, and important, and that’s what makes them connected,” Lewis said. Many times people complain about the legislative process because they actually support a measure, and don’t want to criticize the substance, Lewis said.